Sri Lanka has one of the highest species densities in the world including a number of endemic plants and animals. Unusually for a small island it also has large mammals. It is one of the best places in the world for seeing and photographing Blue Whales, Sperm Whales, Leopards, Asian Elephants and Sloth Bears, dubbed Sri Lanka’s ‘Big Five’. It also has the largest annually recurring ‘Gathering’ of wild elephants of anywhere in the word; a truly spectacular event. 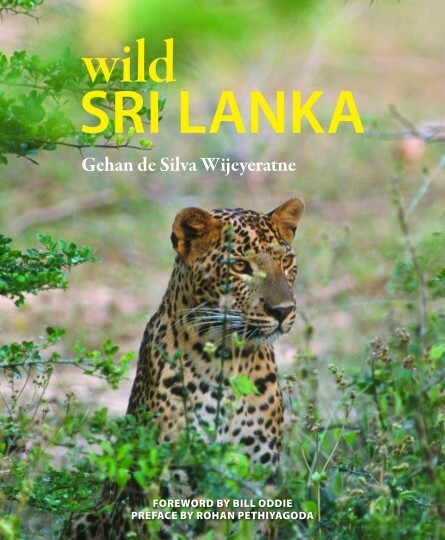 This book brings together all of Sri Lanka’s top wildlife stories, many of which have come to light only in the last few years. Further chapters detail wildlife watching opportunities for primates, birds, reptiles, turtles, butterflies and dragonflies; a description of the parks and reserves by habitat type; and a wildlife watching calendar to help plan a trip. Throughout the book there are extracts from ‘A Naturalist’s Journal’ which in the form of a first person commentary take readers to specific habitats in search of the animals to be found there. Gehan de Silva Wijeyeratne is one of Sri Lanka’s most high profile wildlife personalities. He has authored and photographed over 300 articles and 15 books. He has been pivotal in developing the wildlife tourism industry in Sri Lanka. 260 x 215 mm (10 x 8”). 208 pages.